Leaving Port Campbell at the late hour of ten o’clock, we headed off to see the next two great sights listed on the map, Loch Ard Gorge and the Twelve Apostles. 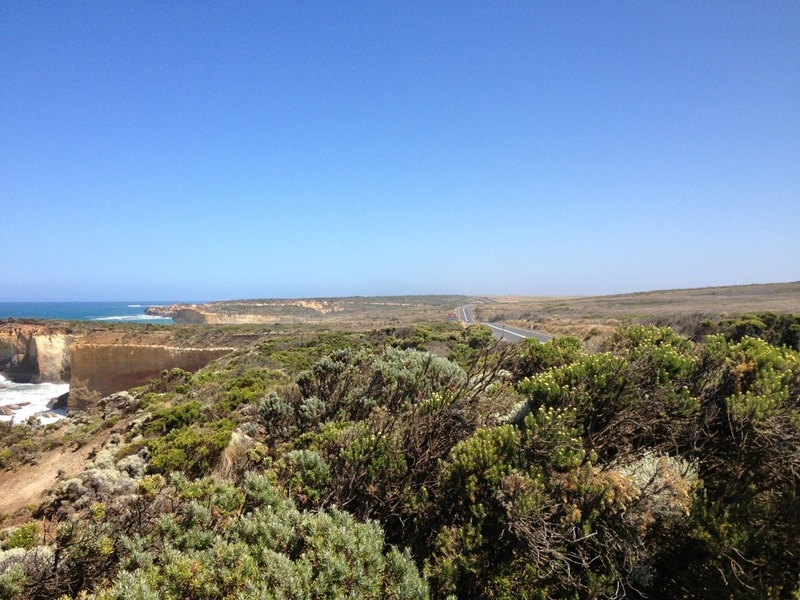 The road was reasonably busy but the cars were courteous as we rode along the undulations amongst the coastal scrub. About 20kms into the journey, the climbing for the day started. Surely this wasn’t Lavers Hill yet, we thought as we climbed and climbed and climbed. There were some nice descents, but each one was more than matched by an ascent as we continued ever higher. 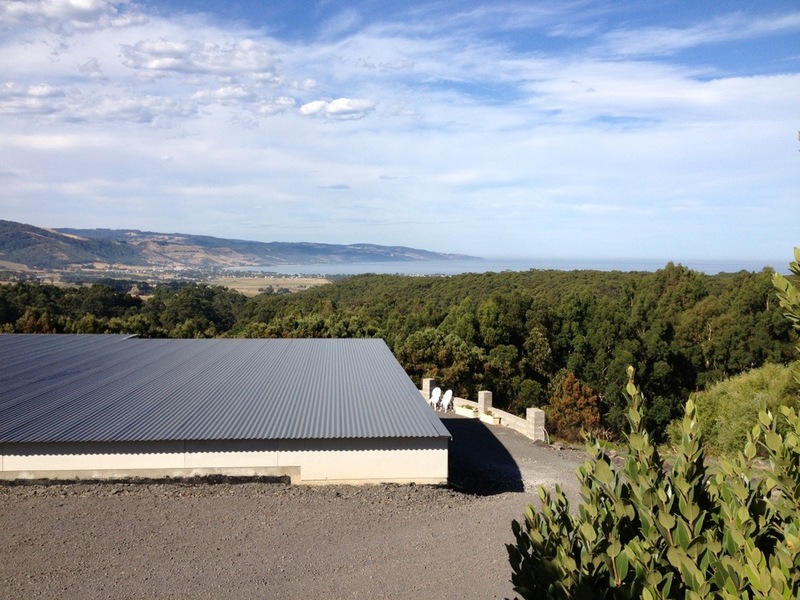 We had read about the infamous Lavers Hill on other people’s blogs and had viewed their horrid accounts with a healthy Tasmanian scepticism. 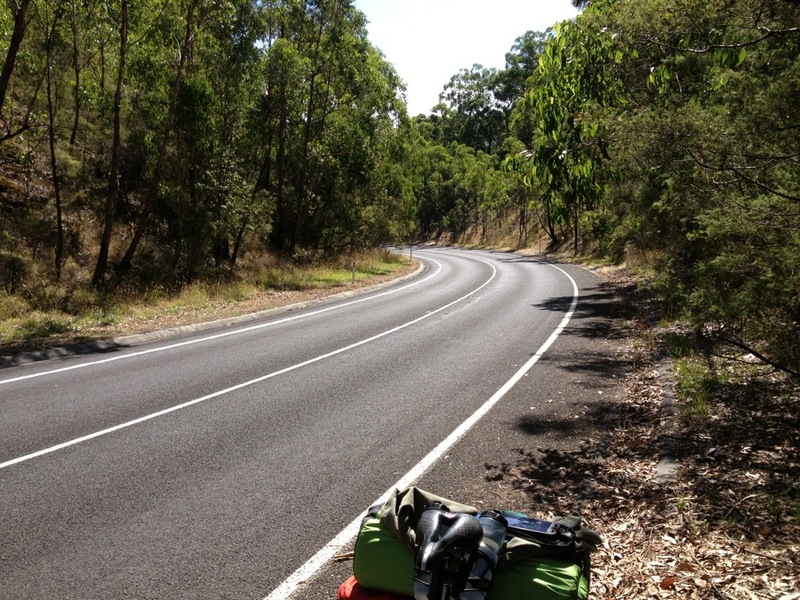 After all, we had been riding up and Tasmanian hills and mountains for four years and nothing we had encountered on this trip so far had matched people’s ideas of what a hard climb actually was. We had been told about hard climbs many times, and always been pleasantly surprised by the ease with which we did them. Besides, we searched the Internet for altitude profiles and the maximum gradient was 3.7%. How easy was that! 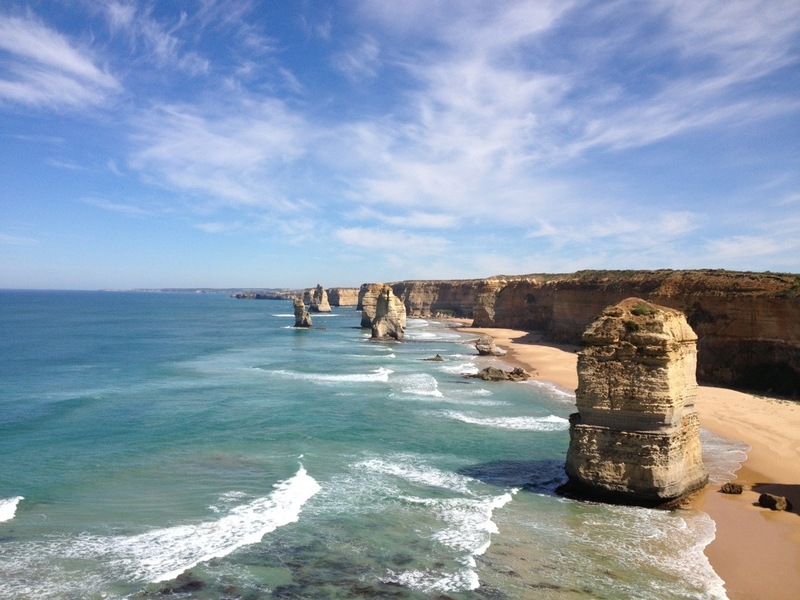 Lavers Hill is 49kms from Port Campbell and the climbing more or less started after 18kms. Everything we had read about Lavers Hill was coming back to haunt us as we spent two and a half hours travelling a mere 30kms! Our average speed for the whole 49kms was only 16.5kms/hr! And there was no way the average gradient is only 3.7%! When we finally rolled into Lavers Hill at about 2pm, we were famished and thinking of stopping for the day. We were knackered! 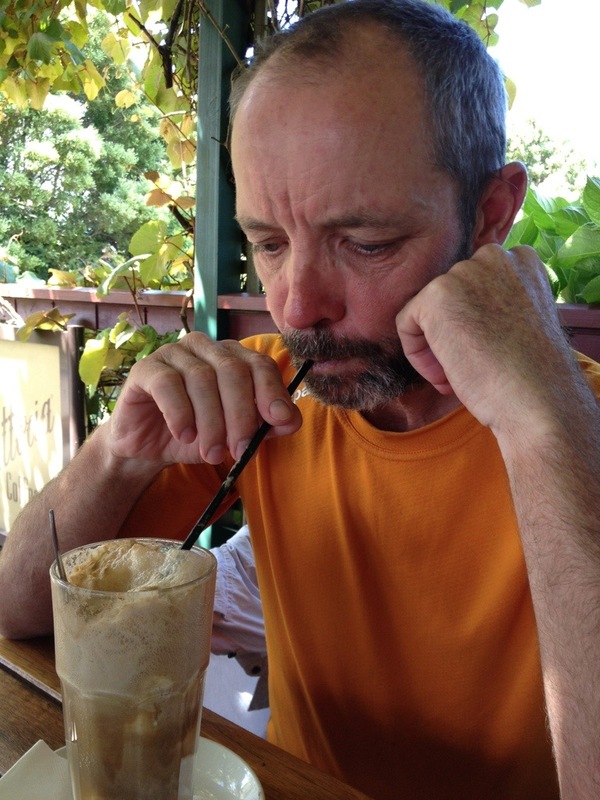 The lady at the cafe said we had completed the worst part of the trip to Apollo Bay and fed us a good lunch. A man from the car club said it was mostly downhill now, but there was one long, steep climb into Apollo Bay. Lunch and a rest revived us sufficiently to think that we could do the next 47 kms into Apollo Bay. One steep climb, that would be nothing after what we had just done, and besides, everyone always exaggerates the climbs (we obviously hadn’t learnt!). Just after 3pm we saddled up and set off on the lovely descent that was to be ours for about half the distance to Apollo Bay. This feeling of joy lasted for a couple of kilometres before we hit the first uphill. Moaning and groaning and cursing car drivers who obviously have no idea of what a hill is, we struggled up the hill and continued for a short while down the next until we went up…and down…and up…(you get the picture). This did eventually end and we got to ride for about 10kms on the flat until we reached ‘the climb’ into Apollo Bay. It was hideous…steep and never-ending. We were pedalling so slow it felt like we might fall over. It was hot too, and we were grateful for the shade of the rainforest around us. 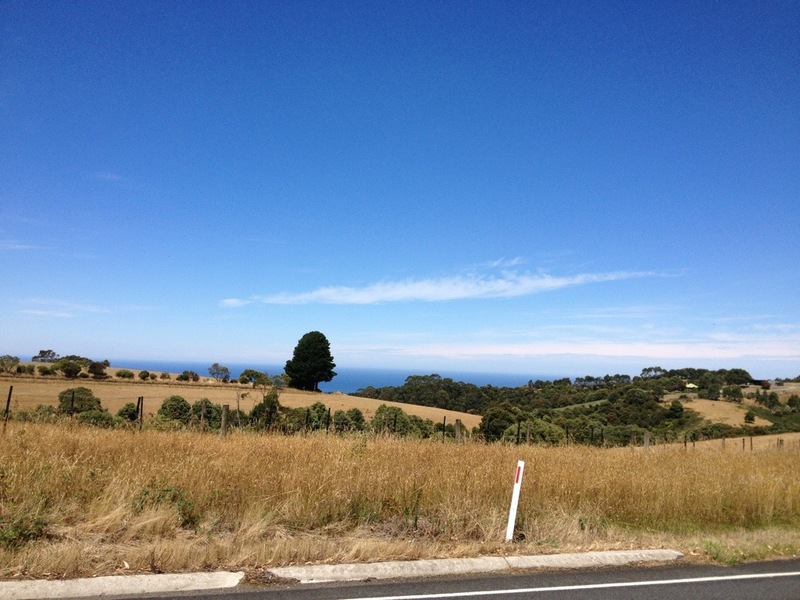 The rest of the trip is not worth mentioning until we reached the sign that told us there was only 5kms to Apollo Bay. We descended those final few kilometres, without pedalling, at a speed of over 60kms/hr. At six o’clock we got to a caravan park totally done in, and that was it! Tent, eat, bed! Tomorrow we stay! Hmm, I think I’ll take a different route when I go….you know how I love climbing?? 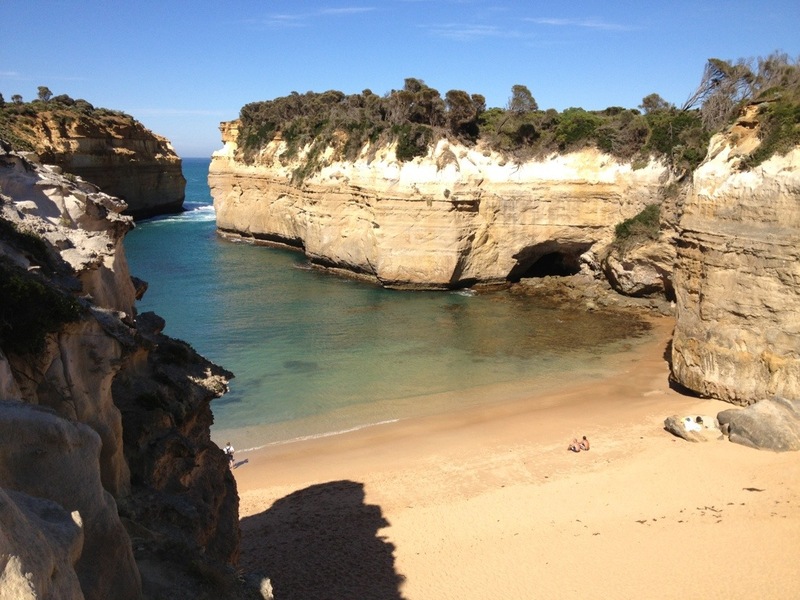 Glad you are both well and enjoying the ocean road.The gorge looks exactly exactly like I remember it. Continue to enjoy.Great photos. This reminds me of cycling over the Pyrenees on a tandem in 1998. One day in particular comes to mind when we ascended around 5000 feet in 35 miles at 35 Celcius. We were drinking water faster than the average man from Darwin consumes beer! (one 750 ml bottle every 15 min as I recall) The next day saw us top out at 6600′ feet, ride across an alpine plateau and then decent for two hours through a cloud inversion. Magical. Loving your updates and photo’s.